This versatile decor piece can be used in 3 Different Ways! A lamp shade cover, a mantle scarf, or a window curtain, the choice is yours! 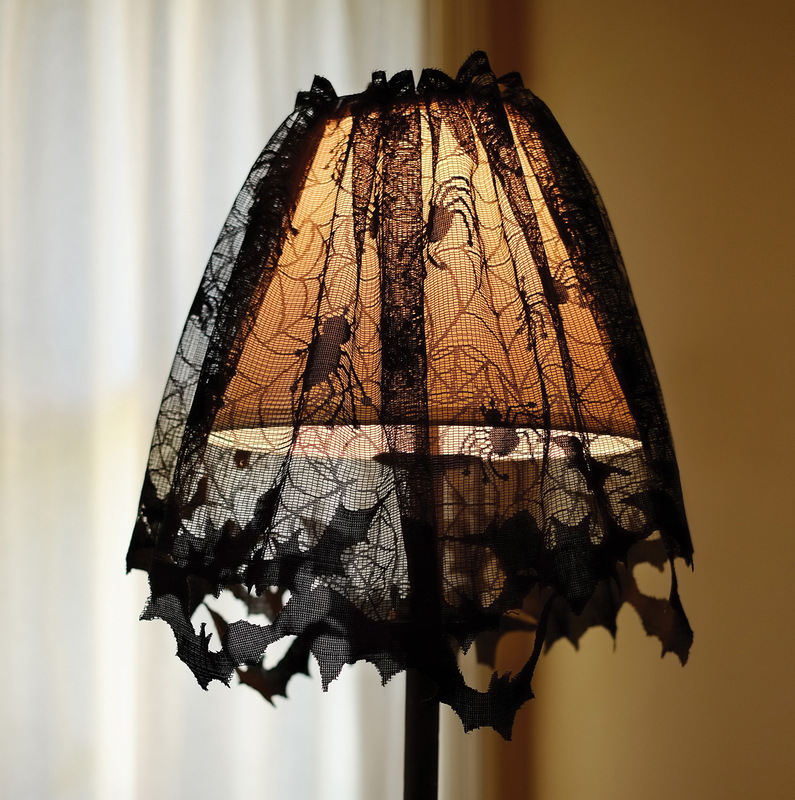 Black lace bat lampshade topper. 100% polyester. Care instructions: hand wash in cold water with mild soap, do not bleach, lay flat or hand dry, do not iron. Measures at 60 in x 20 in. Includes (1) topper. Easy assembly required (instructions included).